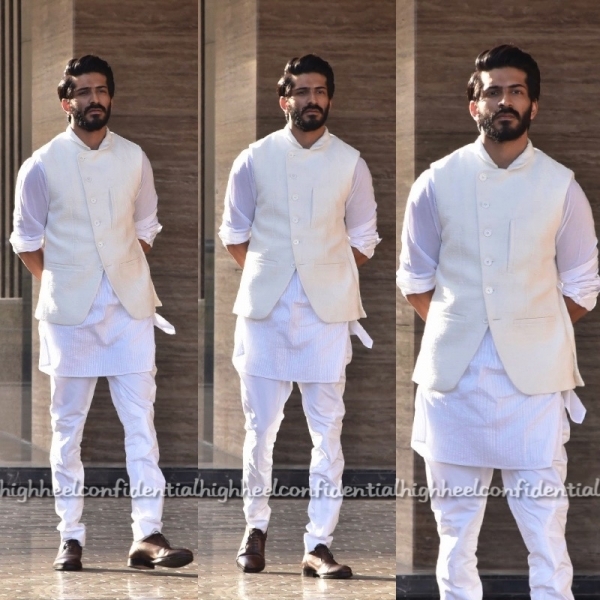 Brother of the bride, Harshvardhan Kapoor opted for neutral colors at his sister’s wedding. 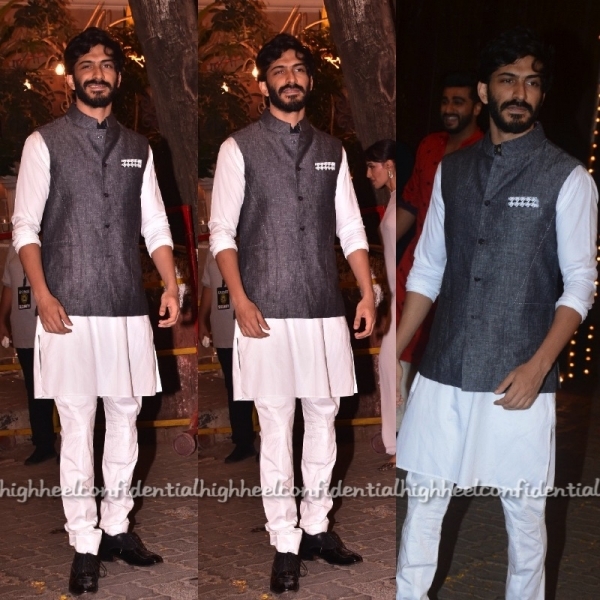 The Mehendi looks didn’t quite appeal to me but I thought he looked suave in Raghavendra Rathore at the wedding. Tell us, which look is your favorite? 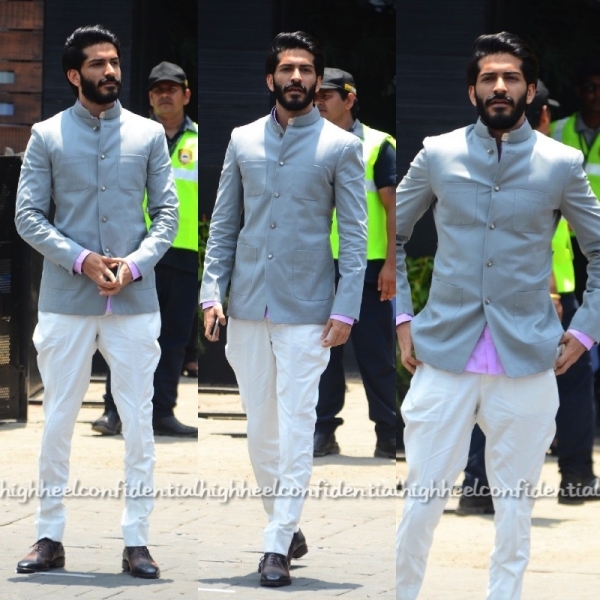 He looks great..love the pink shirt peeking out from the wedding outfit. to be honest he doesn’t look like a star at all!!!! No, not liking it. Looks thuggish. He doesn’t come anywhere near his father in suave! Now if only he could do something about his expressions. Clothes wise – these are all great. This is probably the first time I have liked what he is wearing. He definitely needs a hair cut and better grooming of facial hair.